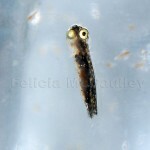 My Gobiesox Clingfish larvae turned 15 days old on Saturday. After my rotifer culture crashed, I raised them on mostly newly hatched decapsulated baby brine shrimp and a few copepods. 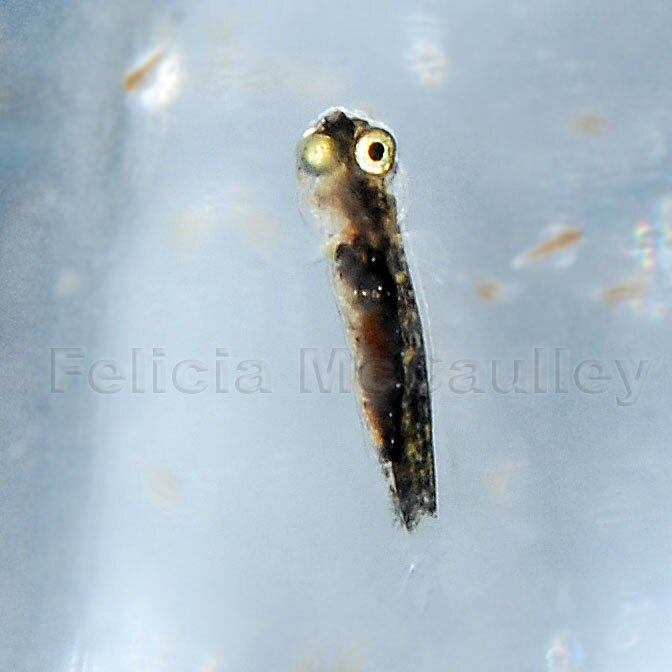 They’ve been eating enriched 2 day old brine shrimp for a few days now, and their growth is really obvious! I’m enriching the brine shrimp in a hatching cone for 24 hours (two 12 hour periods with water change/new enrichment additon between), alternating with Dan’s Feed from Seahorsesource.com and Selco. 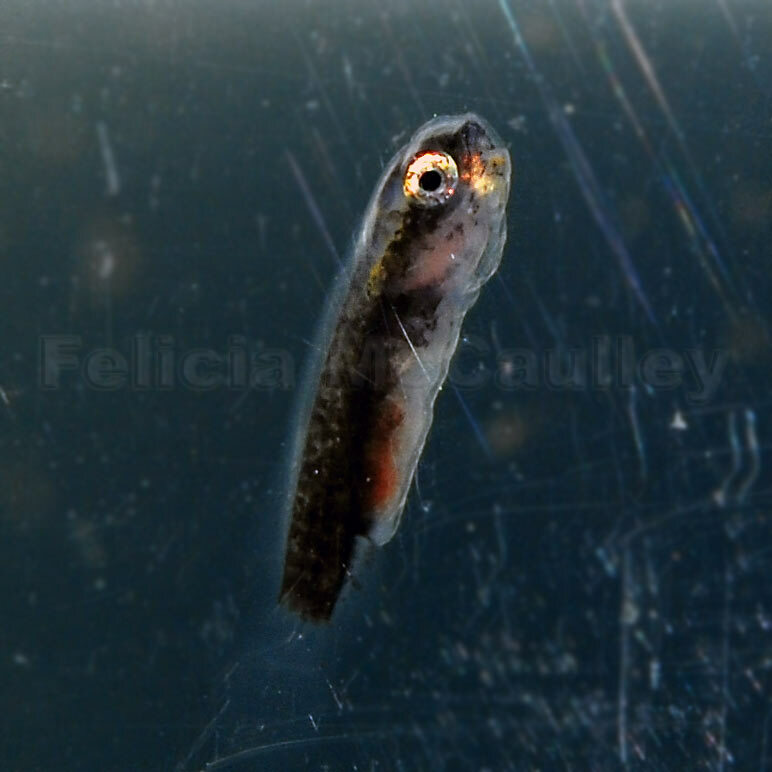 I also add Nannochloropsis Algae paste to the water to help the fry see their food and not constantly bang their heads on the walls. 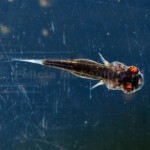 Nano paste also helps keep the brine shrimp nutritional values higher. Click here to see last week’s 7 day update. 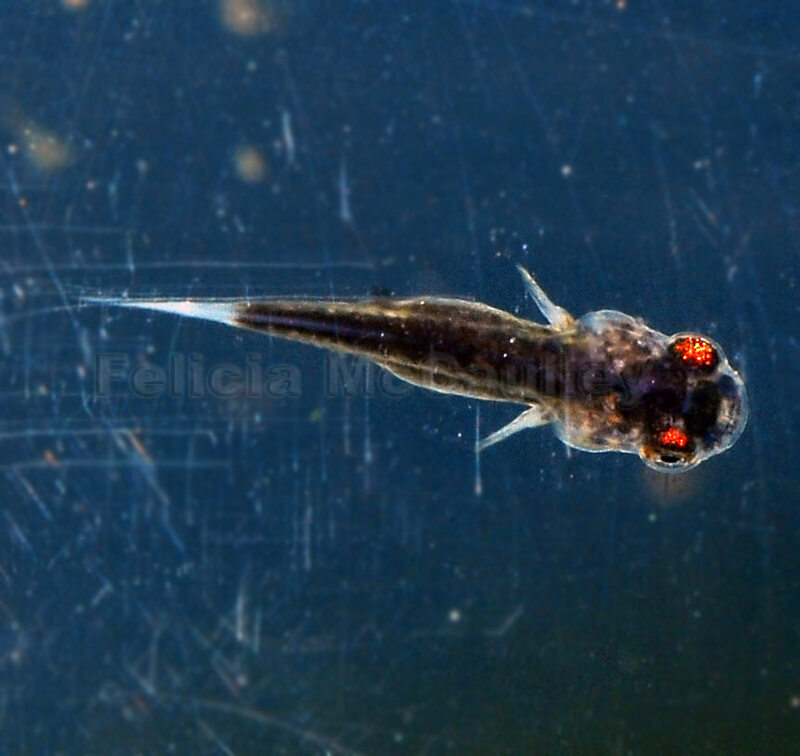 These fish are super cool and make great ‘pets’. It is great to see that you are aquaculturing them. I’d be the first to buy one!